W.U. 2.2: Finger Rigging Good! The rigging tutorial I mentioned last time had a pretty good leg rig, so I used his technique. 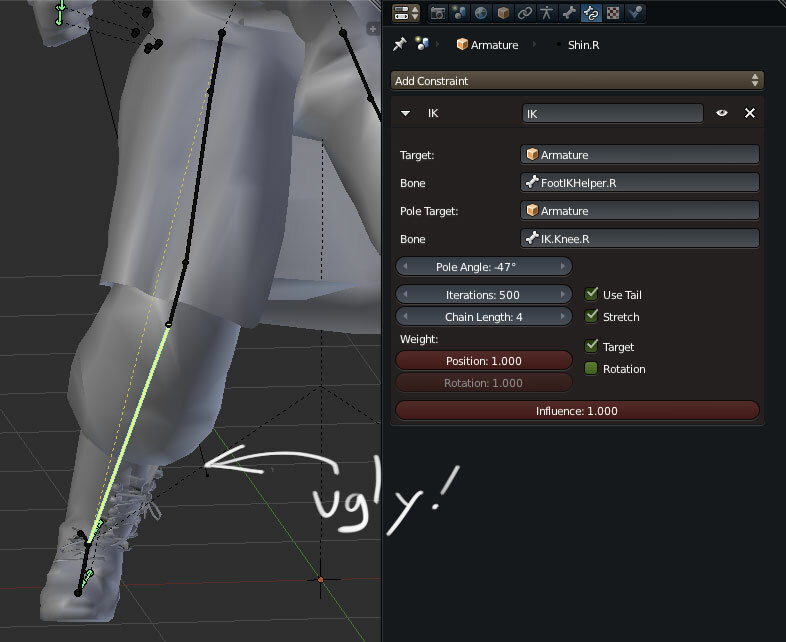 Only problem was once I added a pole target to the leg’s IK, the whole leg would twist too much.